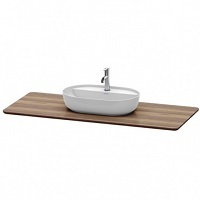 Duravit bathroom furniture is as individual as you. 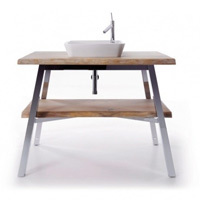 It is based on current bathroom furniture trends, whereas it can be timeless and minimalistic at the same time. 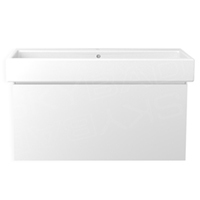 The best is that you can find the right Duravit wash basin matching with all Duravit bathroom furniture series, regardless whether you are looking for the Duravit base cabinet or the timeless Duravit basin cabinet for your semi-recessed basin. 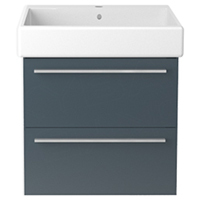 Duravit bathroom furniture fulfills every wish and convince with its practical details, such as the integrated drawer system, the perfectly combinable Duravit shelves and numerous other bathroom furniture highlights. 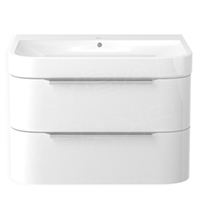 Additionally, Duravit bathroom furniture is available in 30 different surface variants. 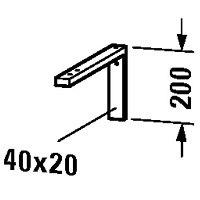 Time for something new in the bathroom? More design, more storage space, modern optics? 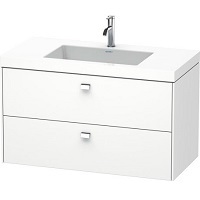 How about new bathroom furniture by Duravit? The numerous Duravit bathroom furniture collections allow you to create an absolutely dream bathroom quite different as the usual mainstream that can be found in every second bathroom - materials and shapes completely matching you specific needs, regardless whether you choose a Duravit base cabinet with built-in basin or a unusual base cabinet for a modern vessel sink. 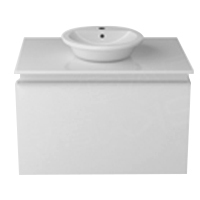 Duravit bathroom furniture creates order and convinces by sufficient storage space for the bathing utensils of the whole family. No matter which bathroom furniture collection by Duravit you choose, you can be sure that your bathroom furniture will be anything but ordinary, not at least due to the easy combinability of Duravit series’ products and the extended collection of furniture surfaces that are offered by Duravit bathroom furniture. Regardless whether your base cabinet should have a real wood surface, whether you prefer a bathroom cabinet with a lacquer finish or an individual and innovative surface, Duravit bathroom furniture is available in 30 different surfaces within the cross-range program. 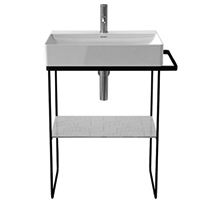 The Duravit bathroom furniture series Cape Cod is the most striking at the moment, as the designer Phillip Starck being inspired by nature for Duravit Cape Cod, and thus the perfect symbiosis of material and shape is being reflected in every piece of Cape Cod bathroom furniture. 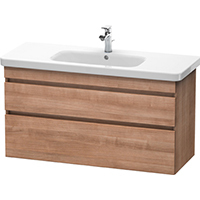 The special highlight is that every Duravit Cape Cod basin cabinet is unique because it is made of wood directly cut from the tree - the ideal Duravit wash basin for individualists, not at least in combination with the matching Duravit Cape Cod vessel sink. A little bit less individual but also practical are the Duravit bathroom furniture series L-Cube that impress with calmness, clarity and well-organized storage space - ideal for your family bathroom. 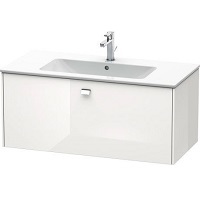 The designer Christian Werner focuses on minimalism as regards Duravit L-Cube and thus avoids unnecessary extras. 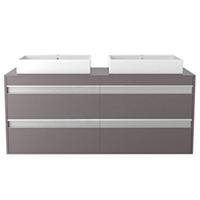 His bathroom design is based on exciting details, no wonder that the L-Cube bathroom furniture does not need any handles at all, regardless whether it is a L-Cube tall cabinet, the L-Cube console for vessel sink or the L-Cube basin cabinet. 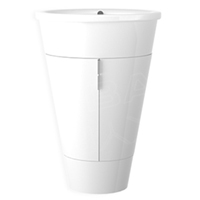 The latter one can be optimally combined with ceramics of the series Duravit Darling New, Duravit Me by Starck, Duravit P3 Comforts or Duravit Starck 3. 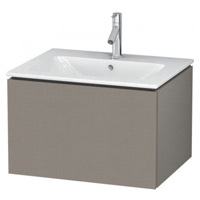 And if you feel in the mood for purism, we recommend you the combination between the Duravit L-Cube base cabinet and the modern Duravit Darling New wash basin forming one unity thanks to the innovative c-bonded technology, as the transition from the base cabinet to the Duravit wash basin is almost seamless.